1. If you follow me on twitter you'll know that i recently nominated my mum for 'Mum Of The Year' award, i wrote a long nomination, and she ended up being picked as one of their 5 runner ups! 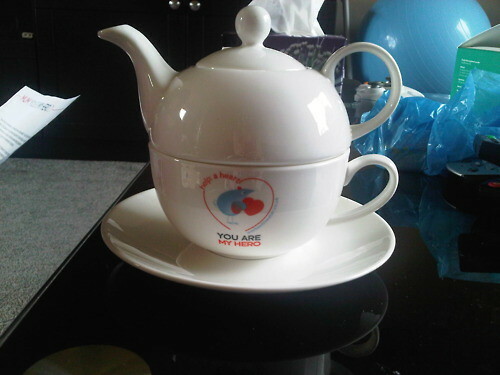 She won this cute little teapot set, with a little 'you are my hero' logo on the side. It was such a great gift considering the amount of tea she drinks! 2. Heres one of my cats Teddy, he's about a year old and a little terror! 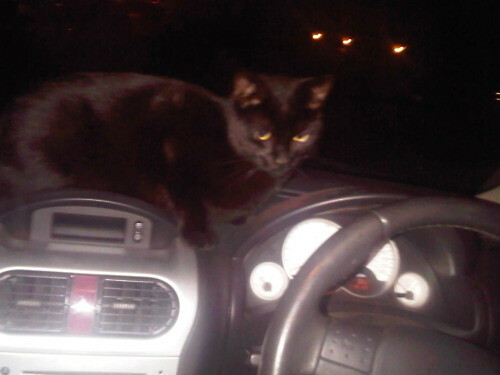 I was in Sam's car and he waited outside the door miaowing away, so i opened the door and he jumped in and searched around then decided he wanted to sit on the dashboard... cheeky! 3. So after seeing Victoria Beckham tweet this, i've decided i want them majorly! 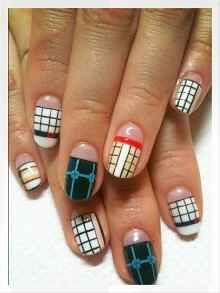 Prada Nails.. my oh my, how beautiful are they! I want them! 4. 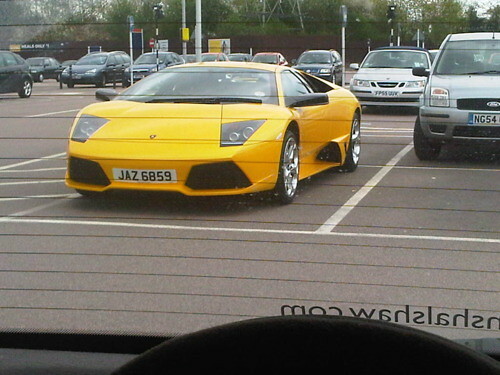 Me and Sam were out and stopped off in London Colney to get a drink when we saw this beauty! 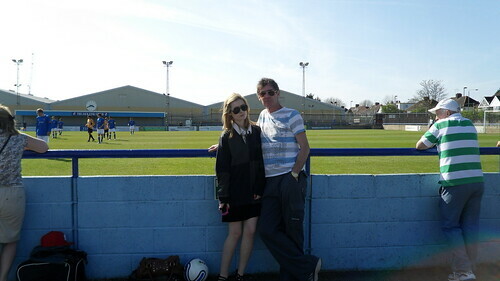 How gorgeous is it.. more to the point.. don't even want to think about how expencive it is! 6. 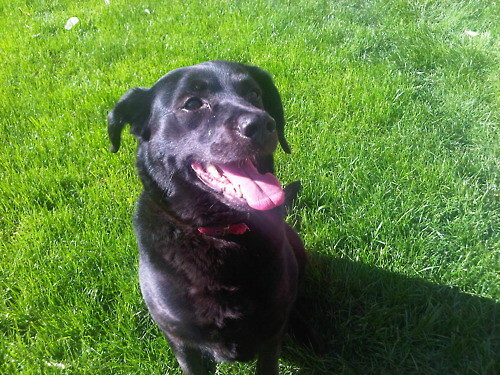 My dog Pepper enjoying the sun, bless him he looks so happy! how funny is your cat, love it. 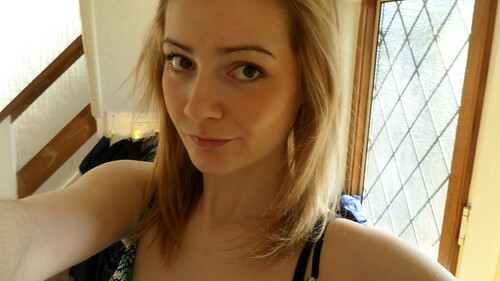 haha, boredom always leads to great vain photos shots! lol. Nonsense, not boring! Very cute! I love those Prada nails! So cute! 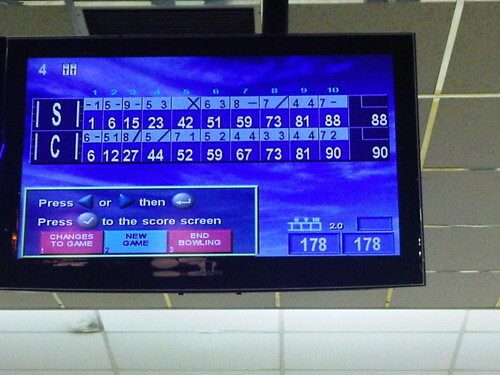 Ah, I haven't been bowling in ages, well done on winning the first round! ;). Awwww that teapot is so cute! those nails are awesome I can see why they are worth twitting about. i want my nails like that!! !